The power of scent is important to all people, whether you realise it or not. There are many studies that show particular aromas and smells can become intrinsically tied to specific memories, and as soon we are once again exposed to that familiar scent, we are immediately transported to another point in time. 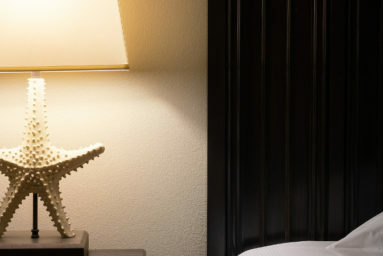 Alongside the emotional connections we have with scent, it goes without saying that one of the principal reasons people fill their homes with scent diffusers, incense, and candles, is to make it a more appealing, homely, welcoming space. Fragranced candles have the power to do this both by the aroma and the warming light and ambiance they can bring to a room. 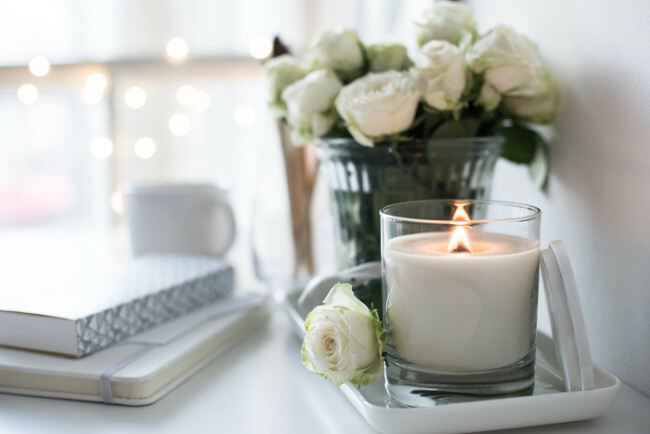 A perfumed candle can set the scene for any number of situations; a romantic dinner, a comfortable evening spent with friends, or simply a relaxing night in. And whilst diffusers are highly effective at spreading your scent of choice throughout the house, they can lose their potency after a short while, whereas a candle might last for up to 50 hours of burning time. The perfume is, of course, the most important factor to bear in mind when purchasing a scented candle, but to ensure you achieve the designer scent and look, make sure you consider the presentation of the candle too. Some will come held in a stylish glass holder, ready to be put in pride of place within your home. Others may require a glass jar, or alternative holder. If this is the case, think of it as an opportunity to exercise more creativity within your home decor. But why settle for any less than the best? Here are Luxury Lifestyle Magazine’s best dupes for designer fragranced candles. Aventus is a well known name in the fragrance world. Inspired in part by the Creed line of parfums, ‘Aventus’ is a heady mix of high-quality ingredients. The top notes are fruity, with bergamot, blackcurrant, apple and pineapple, complemented by central notes of patchouli, rose and jasmine blossom. The woody base notes of ambergris, oak moss and vanilla bring the undeniably masculine touch to this fragrance, and ensure a fresh yet exotic scent when you burn the candle. Best suited to living and dining rooms, this candle will bring a pinch of fruitiness to the air, whilst the warm oak scent brings depth, controlling the light fruity notes. This is an invigorating aroma, not the scene-setter for a relaxing night, but rather an evening when you want to be noticed. One of the most effective ways to achieve that designer feel in your home is to purchase a fragranced candle which is immediately recognisable by its scent. ‘Orchid’ is inspired by the irrefutable original fragrance by Tom Ford, with its famous sandalwood and black truffle base, middle notes of patchouli and bergamot, and focal notes of ylang ylang and sweet jasmine. When burning, this candle is exotic and opulent, transporting you to far away destinations. With the masculine, intoxicating smell, this is the ideal scent for a either a romantic evening with a loved one or a laid-back evening alone – the perfect bath-side companion! Another candle inspired by the king of perfumes, Tom Ford, is the ‘Oud & Wood’ candle. Taking inspiration from the Oud Wood Eau de Parfum, this candle is perfect for a romantic night in thanks to its alluring, avant garde scent. An incredibly sensual aura is the result of a base of oud wood oil, layered with central notes of vetiver, tonka bean, and amber. This is topped off with light notes of sandalwood and rosewood. The ingredients are distinctly foreign, and much-inspired by the rich and expensive flavours of the Middle East. Oud wood oil itself is one of the most highly valued ingredients in the world, and is here complemented by varying woody scents. This is a deep, enigmatic, and evocative scent, so place this candle anywhere you are seeking an intimate and amorous atmosphere – on the table during dinner, or perhaps as a replacement for the traditional bedside lamp!